So, here you go. The first recipe that I invented wholly in the depths of my amateur chef mind: curried turkey tacos. I apologize that it is not exact, it may not have perfect cooking temperatures, and that I cannot afford to cook it four or five more times to perfect it. We’ll work on it together. Let me know in the comments what worked or didn’t work, or what you changed. Thanks. 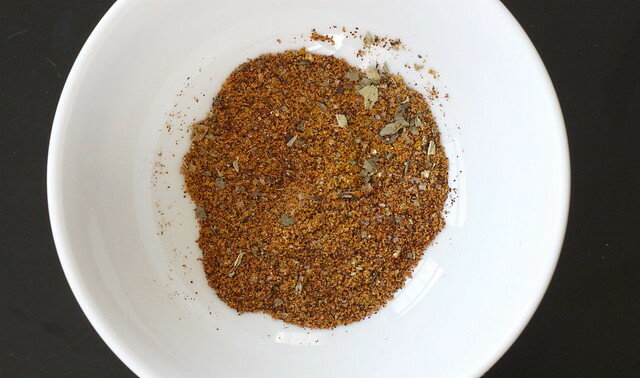 I started out with a basic taco seasoning, plopping an extra tablespoon of curry powder into the usual mix. When I tasted it part way through, it needed more to pack the curry punch, so I adjusted accordingly. My turkey was frozen (yay leftovers!) but soaked up lots of delicious flavors as it defrosted in the pan. I topped my tacos with avocado and cilantro because I can’t resist. And the feta cheese and squeeze of lime added just the zing! the dish was waiting for. Tacos are such a great receptor of creativity. I hope you enjoy! Combine spices in a small bowl. Heat olive oil in a large skillet over medium heat. Add onion, stirring until beginning to soften and turn translucent. Add spice mix, stir, and cook until onions are very soft. Add diced tomatoes, black beans, and turkey. Check the seasoning, possibly adding more curry powder, salt, or pepper. Cook for about 10 minutes, until juices have reduced and the taco filling is thick. 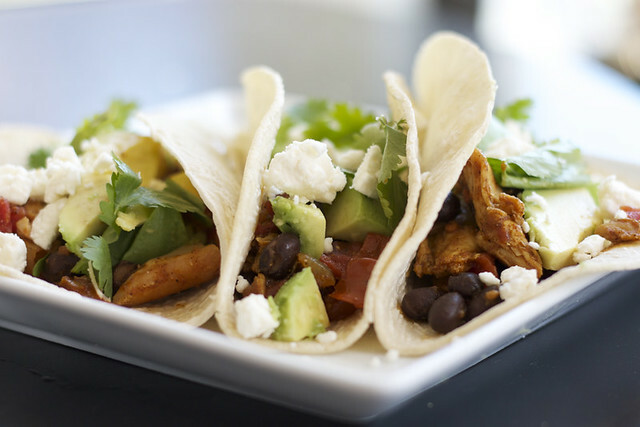 Heat the soft tacos in the microwave or in a pan on the stove. Spoon a hearty amount of filling into each, top with sliced avocado, feta, and cilantro. Squeeze a little bit of lime juice of each taco. Enjoy! Brilliant! What a great way to use leftover turkey. 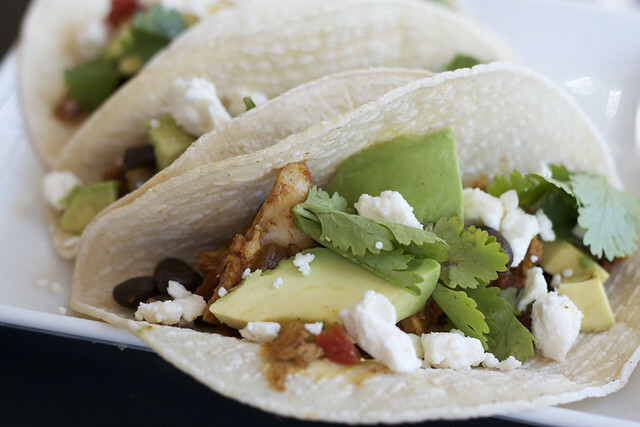 I love everything about these tacos from the turkey to the curry, avocado and the fact that it’s all nestled in a tortilla. Delicious! Agreed with Julia, very clever use of leftover turkey. I would never have thought of currying it….and I love to curry whatever I can. It’s fun to find another Chicago food blogger. Just discovered your site, great photography too, btw.